January 11, 2019 Lens, the Photography, Video, and Visual Journalism blog of The New York Times, recently published the work of New York Film Academy (NYFA) Photography Instructor Jaime Permuth. The article, written by David Gonzalez, centers on Olmedo Renteria, a 78-year-old blind magician who performs on the New York City subway and goes by the stage name Olmedini El Mago. The piece features several photographs taken by Permuth. Lens was founded in May 2009 by New York Times senior staff photographer James Estrin, along with Josh Haner and David Dunlap. It is now one of the world’s most premiere photography blogs, featuring photojournalism and artistic work by a diverse group of photographers from around the world. 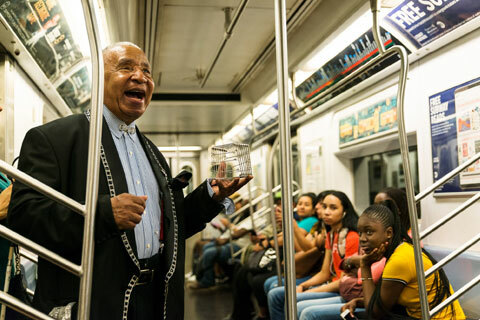 The article on Olmedo Renteria is titled "A Blind 78-Year-Old Magician Finds a New Stage: New York's Subways" and profiles how Permuth first met Renteria twenty years ago, only to track him down recently through social media. In the time that has passed, Renteria has lost his eyesight due to a stroke, and now performs magic on the subway with the help of an assistant. The Ecuadorian was quite famous in his home country for his magic, even once opening for supergroup Menudo. 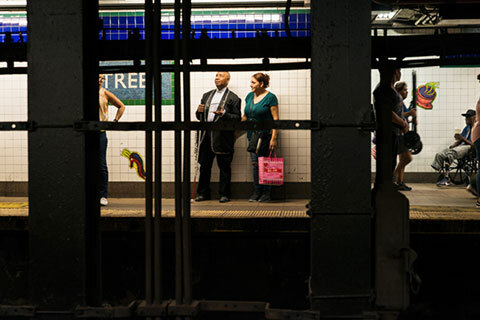 Since reconnecting, Permuth has shot some incredible photographs of Renteria, both performing on mass transit and at his home and elsewhere. The profile in Lens is an achievement for both photographer and subject. Speaking with NYFA, Permuth describes Renteria's reaction: "It's hard to convey his excitement on hearing that the Times would publish the story, the sense of validation it brought him, knowing that he would join the ranks of other world-class magicians and artists featured previously in those pages." Permuth hails originally from Guatemala and is currently based in New York City. Last year, 24 works from his series The Street Becomes were exhibited at the Museo Nacional de Arte Moderno in Guatemala City. In 2017, his series Yonkeros received solo exhibitions at the New England School of Photography and at the Center for Photography at Woodstock. Additionally, Permuth has been awarded a Smithsonian Institution Artist Fellowship, as well as an NFA Fellowship from the National Association of Latino Arts and Culture. He has been nominated for a United States Artists Fellowship, the Prix Pictet, the Santa Fe Prize in Photography, and the Smithsonian American Art Museum’s Contemporary Artist Award. His photographs have been shown at multiple venues in New York City, including The Museum of Modern Art, The Queens Museum of Art, The Bronx Museum of the Arts, The Museum of the City of New York, The Jewish Museum, El Museo del Barrio, and The Brooklyn Museum of Art. Permuth has also exhibited internationally at Ryugaheon Gallery in South Korea, Casa del Lago in Mexico City, and the Israeli Parliament, with work of his also included in the collections of The Houston Museum of Fine Arts, Art Museum of the Americas in Washington, DC, Fullerton Art Museum in California, Yeshiva University Museum, State University of New York at New Paltz Samuel Dorsky Museum of Art, the NSU Art Museum Fort Lauderdale in Florida, and Fondazione Benetton Studi Ricerche in Italy. Permuth has taught at NYFA's Photography program since 2011, where he has earned a reputation from students and graduates for his deep respect and humanity for the people and world that he photographs. In teaching NYFA students the technical craft of photography, he has also taught them how to connect with their subjects on a deeper, more profound level. 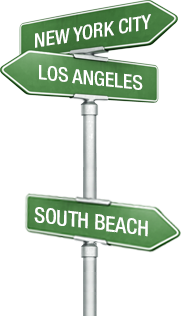 "I believe good instructors lead by example," Permuth tells NYFA. "I enjoy sharing personal work in the classroom with the hope that it inspires students to challenge themselves and work hard to realize their personal vision." The New York Film Academy congratulates Jaime Permuth on the latest exhibition of his work, and encourages everyone to check out his photographs in The New York Times blog, Lens.